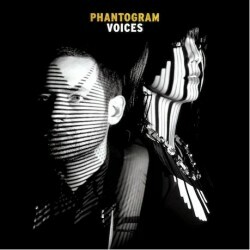 Voices is Phatogram's newest album, released February 18 via Republic. Voices includes 11 tracks and was recorded in Los Angeles with producer John Hill who worked with M.I.A. and Santigold as well. 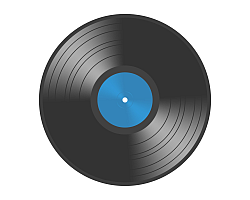 Four of these tracks were listed on last year's eponymous EP and now reemerge here. Meanwhile, the album showcases the New York pair's sparkly synth-pop sound, with plenty of full-bodied rhythms and big hooks. New tracks like "Black Out Days," "Howling at the Moon" and "I Don't Blame You" sport a dark and angular sound, but there are still enough cinematic melodies and hard-hitting electronic rhythms to make this record a fun listen.